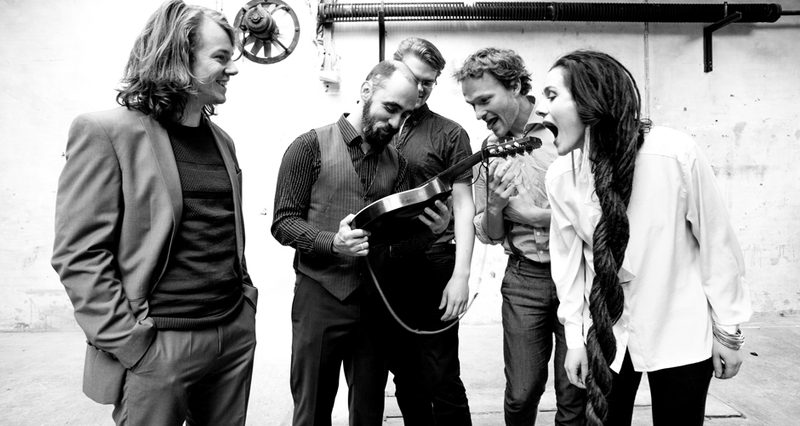 The Scandinavian top-class quartet Basco has joined forces with the enchanting Danish/Norwegian singer Jullie Hjetland. Together they create energetic music and a poetic sound delivered with their shared passion for story telling. Over the years both Basco and Jullie have been awarded at the Danish Music Award – Folk in such categories as “Album of the Year”, “Singer of the Year”, “Artist of the Year”, “Track of the year” & “Composer of the Year”. Their music is varied, full of nuance and beauty, of temperament and drive, of grand sweeping landscapes, delicate, fractal detail, and of good, old fashioned, raw, foot-stomping power. Together they’ve released the EP “Kongsdøtrene” in 2014 and in 2018 they will commence the journey to release a full album together.